This is an old, large robust cultivar, with purple-orange leaves, with a darker colour in the base. Juvenile leaves are more pink, while adult foliage is orange-red, to copper-red according to season and exposure. Cordyline fruticosa is a marvelous foliage plant originating in the Pacific Islands. It adaptable to bright shade can grow indoors as a house plant. 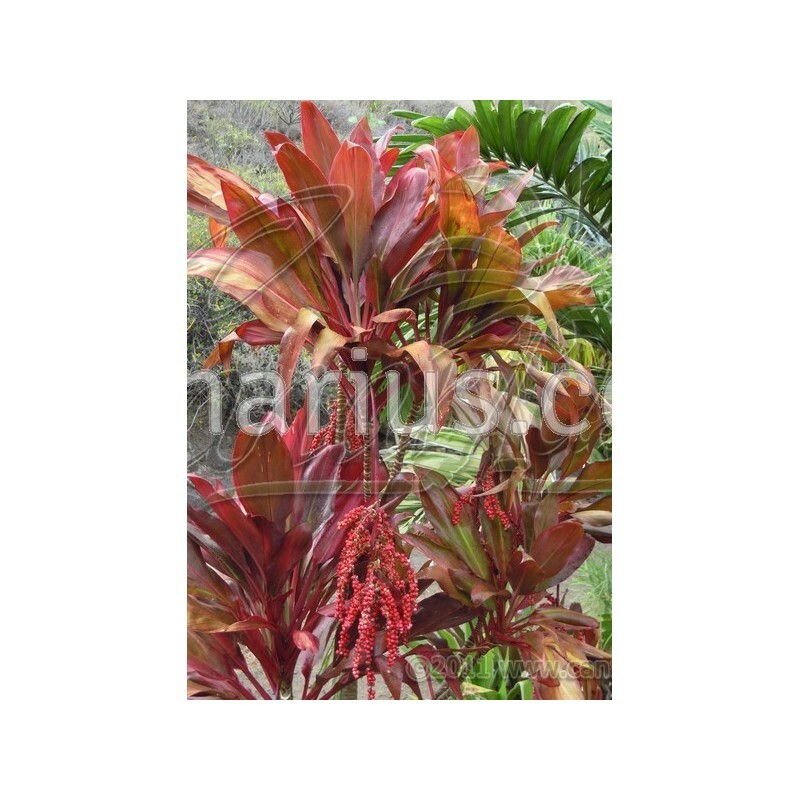 Our garden selections will also be perfect in the tropical or subtropical garden. They can take cool temperatures but will be damaged or killed by frost. These "outdoor cultivars" bear leathery leaves and grow thick tuberous roots underground. If you grow plants in full sun, you will obtain larger, robust specimens with thicker leaves. These plants will be much hardier to drought, wind and cold than plants grown in the shade. After a few years, pot-grown Cordylines can start to become tall and leggy. If so, they can be kept low by pruning or air layering the shoots that become too tall. They will sprout new shoots from the base or from the cut. 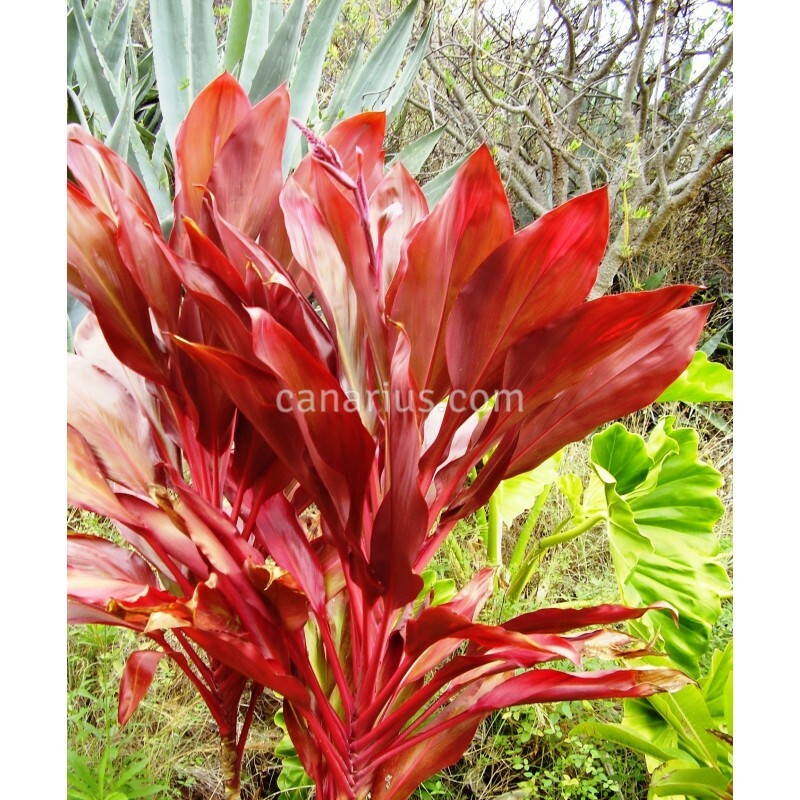 The plant we offer is 20-40 cm tall and it is about 1 year old from cutting. It is grown in a pot of about 10-12 cm.